EXXONMOBIL, the operators of the multi-billion dollar PNG LNG project, has to date loaded more than 160 cargoes for markets abroad and produced more than 11.7 million tons of liquefied natural gas. The company was responding to questions put to it by Post-Courier in light of the sustained low commodity prices and its implications on the economy. The company would not disclose how sales have been tracking both in terms of levels and monetary value, citing commercial confidence. However, with one cargo shipped reportedly worth US$50 million, the 160 cargoes would have earned more than US$800 million (K2469.13m) in total sales. A company spokesman said it was important to appreciate the long term nature of the investments such as the PNG LNG Project, adding also that the company was here for the long haul. "Commodity prices are cyclical and as long as the fundamentals are strong, like they are for the PNG LNG Project, the long term benefits would remain. "In addition to royalties and development levies PNG benefits from sales of every cargo through equity dividends to the Kumul Petroleum Holdings Limited and Mineral Resources Development Company and direct and indirect taxes paid to the State. ExxonMobil is committed to PNG for the long term," the spokesperson said. ExxonMobil had stated that the company is working hard to ensure that production operations maintain the highest level of performance and it would continue to take full advantage of opportunities to grow its business in PNG. "We are continuing to invest to confirm resources for the potential expansion of the PNG LNG Project, including future plans for exploration drilling on the Muruk well, north of Juha, and drilling on the P’nyang field in Western Province. 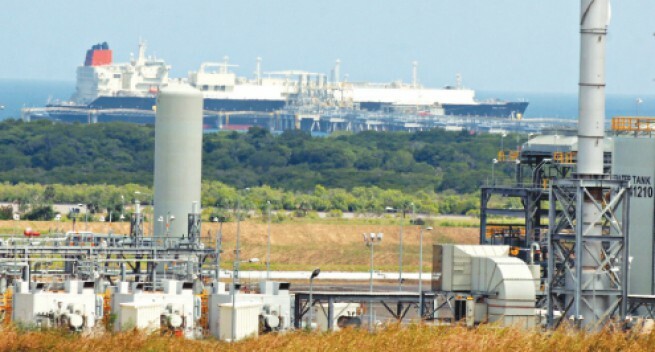 "These reserves have the potential to increase the supply of domestic gas for power generation and also provide energy for future growth of the PNG LNG project," the spokesman said. With most businesses scaling down on its workforce to keep their heads above water as the low prices persist, ExxonMobil had stated they continue to maintain a full production workforce.